We started with a master list of 181 lenders, banks, and credit unions — every mortgage company we could hunt down. Then, we focused in on what makes a mortgage lender the best. We looked for competitive rates, of course, but rates aren’t all that matters. Our vetting process left us with only the most accessible, reputable, and accommodating lenders: companies that will make the transition into your new home smooth and painless. We looked for outstanding companies that we could recommend to anyone, meaning they had to be widely available. We only considered lenders that operate in 40 states or more. This cut a lot of lenders from the running (135 to be exact) including some popular names, like Bank of America. There are certain cases where one of these regional or smaller lenders will be better suited to your needs: for instance, if you have a difficult credit history or need extra help navigating the mortgage process. If that sounds like it applies to you, you can select a great local option by following our guide. For most, any of our nationwide top picks will be a great choice — readily available and overflowing with services. Only direct lenders — mortgage companies that underwrite and finance their own loans — can offer a full suite of services. Choosing a direct lender also keeps all your mortgage activity under one roof: The institution paying for your home is also the one that creates your contract and helps you along the way. Using a direct lender often expedites the mortgage process, because everything is taken care of in-house. While plenty of people choose to work with a broker rather than a lender, and take advantage of the broker’s ability to comparison shop for you, mortgage shopping can be done without one. We spent two weeks getting pre-approved with our top contenders so we can guarantee that our top picks keep it hassle-free. Mortgage lenders are regulated by both state and federal agencies. When a company missteps, those agencies can file a regulatory action against it. Information about mortgage lenders’ infractions is then gathered and reported by the Nationwide Multistate Licensing System. While many regulatory infractions turn out to be simple administrative errors, a pattern of infractions can indicate unlawful activity — like unlicensed loan agents who might sign you up for the wrong policy, or companies paying loan officers illegal quota incentives to sign up as many mortgages as possible. These types of lenders have their bottom line in mind, not your best interests. Besides low rates, the most important thing to consider when choosing a mortgage lender is reputation. We cut lenders from the running that had more than one regulatory infraction filed against them. One (or none) may seem like a high bar, but once those infractions start rolling in they can add up fast. The best lenders should be able to keep their ducks in a row, giving you complete peace of mind. As of 2018 (most recent data available), all three of our top picks have maintained pristine records. Streamlined website: An informative and simple-to-navigate site answers all of your questions clearly and without much digging. A poor online experience can muddy the whole mortgage process by making it hard to find those important initial stats: interest rates and APRs. Helpful learning tools: Home-buying and refinancing guides walk you through the ins-and-outs of mortgages in language that you’ll actually understand, while mortgage calculators give you an idea of what you could be paying before you even get pre-approved. Tools like these help you build a solid foundation of mortgage knowledge and make informed decisions when comparing lenders and prices. Excellent customer support: Online tools are an awesome place to start, but it’s likely you’ll have questions down the road that need a little more personalized attention than an FAQ or buying guide. We had questions along the way, too, and kept track of the companies that were most responsive and helpful in answering them. Your loan officer will help you through the mortgage process, of course, but with such a huge purchase it’s important to be personally informed about your options. The best lenders make it easy to get the information you need with prompt, polite, and helpful phone reps. Excellent online tools, an easy application process, and some of the best interest rates on the market. Plus, we were pre-approved and ready to shop in less than 30 minutes. 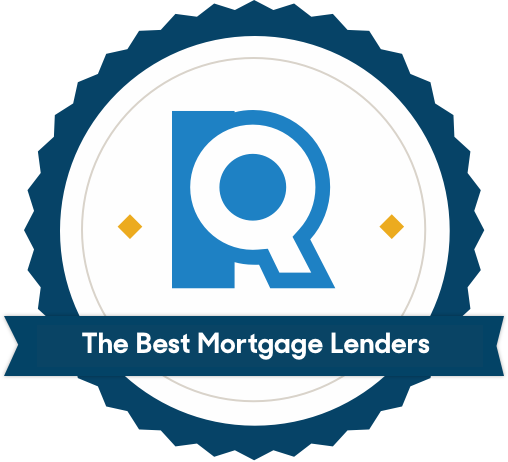 Our top pick, Quicken Loans, has everything we looked for in mortgage lending: low interest rates, great customer support, and rapid approval. Plus, it boasts mortgage options to fit anyone’s needs. When it comes time to pull the trigger on a loan, Quicken gets you pre-approved and on the house market fast. End-to-end, we were pre-approved in under 30 minutes. And after applying, we weren’t inundated with emails and phone calls. This company knows to give you a little space during the shopping-around phase. Quicken has some of the best learning resources in the industry. The website walks you through the intricacies of mortgage lending in simple language and offers everything you need to manage your mortgage from beginning to end, even without the help of a broker. Educate yourself on complicated concepts like underwriting and refinancing, and use the mortgage options chart to compare adjustable rate, fixed rate, and other loan types side-by side. Quicken is a stand-out for empowering consumers and helping them understand all the details before signing on the dotted line. If you run into any questions that Quicken’s online resources can’t answer, its customer support is readily available to lend a hand. The online chat feature offers immediate live support, and when we wanted a more in-depth conversation, we reached a rep over the phone in under five minutes. The quality of help they gave was top-tier, second only to Alliant Credit Union’s exceptionally helpful phone service. Quicken Loans aces all the mortgage lender tests we posed, from price to education to phone communication. Where it falls short is where all online mortgage lenders fall short: As national corporations, they can’t offer the local touch you’d get from working with your hometown bank. If getting realtor references and hometown insight are more important to you than a streamlined shopping experience (and, potentially, cheaper rates), then use the guide below to surface your region’s best bets. 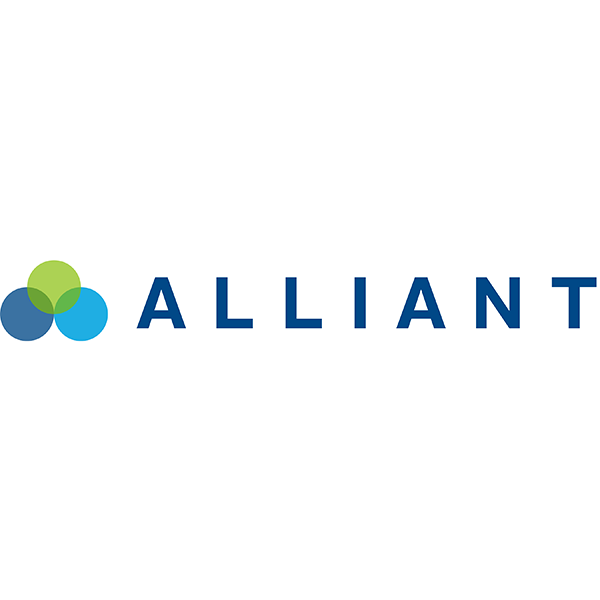 Alliant offers fair and transparent pricing. First-time home buyers will also benefit from its exceptionally patient and helpful customer service. 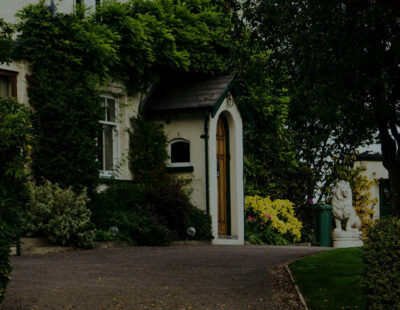 If you’re a first-time homeowner in particular, it may help to work with a company that can give you personalized (read: human) assistance throughout the mortgage process. In that case, we recommend Alliant Credit Union. 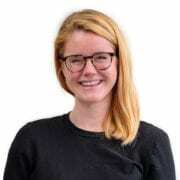 Alliant has outstanding customer service reps that not only respond quickly, but will walk through each step of the application process with you and lend a hand when need be. Bruce Ailion, a realtor and attorney at Re/Max Town and Country advised us that first-time buyers often need “a patient, in-person, hand-holding lender” to help them navigate the ins-and-outs of mortgages. Credit unions typically offer more appealing rates than their bank counterparts, and Alliant fits squarely into this tradition. This not-for-profit financial institution is member-owned, which means it has all the incentive to build attractive rates and low or no fees into its pricing structure. It also sidesteps the pithole of most credit unions: low-quality tech. The company has invested significantly in creating accessible and functional online tools for mortgages and all its other banking activities. As a credit union, Alliant has fewer employees than a mega-lender like Quicken, which means there’s a higher chance of longer hold times. But ultimately you’ll be treated with a level of patience and personalization that most big name institutions just don’t offer. First-timers may be grateful for this when the about-to-close-on-my-first-house panic sets in. 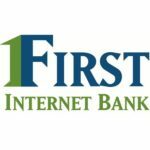 First Internet Bank makes refinancing efficient and painless with clear interest rates, speedy response times, and the fastest pre-approval process we could find. 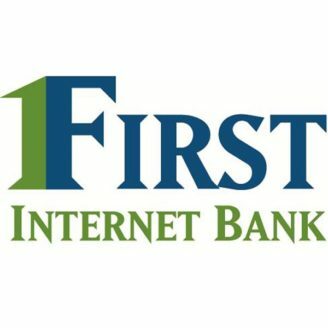 For seasoned homeowners looking for straightforward, simple refinancing, we suggest starting your search with First Internet Bank. It had us in and out of the preapproval process faster than any other lender and is a great choice for people who have already been around the mortgage block once or twice. After we filled out the pre-approval application, a response popped up directly on the webpage. To top it off, a loan officer called us within 30 minutes to follow up on our mortgage request. First Internet Bank displays rates, loans, and refinance options right on its homepage. You can compare fixed and adjustable rates, different term lengths, FHA- or VA-backed, and other mortgage options at a glance. Unlike Quicken loans, First Internet Bank doesn’t offer many educational resources to read up on the technical complexities of mortgages. Its most notable resource is a mortgage calculator to help you estimate monthly payments as well as refinancing costs, price differences based on term length, renting vs. buying costs, and more. Lenders vary on what credit score approval numbers they require, but the higher you can get yours, the better. Dispute errors on your credit report, pay down large debts, and pay your bills on time in the months leading up to applying. When preparing to buy a first home, it can save you a lot of time and money if you have your credit history in order. Don’t wait to find your dream home only to find you can’t qualify for the mortgage. To check in on your credit history, pull your credit report and score. Thanks to a federal law, you’re entitled to one free credit report per year from each of the three major bureaus — Equifax, TransUnion, and Experian — from AnnualCreditReport.com. Your scores aren’t included, though. You’ll have to pay a small fee to each bureau to get them. “If you're trying to qualify for a home loan, the last thing you want to do is to take out a major credit purchase, such as a car loan,” says Andrew Schrage, co-founder of MoneyCrashers. “Though FHA loans allow for a higher percentage of debt-to-income ratio than conventional loans.” In general, adding new debt can lower your scores and hurt your chances of getting a mortgage. Our experts agree: You’ll get the best deal if you financially prepare before you fill out your first pre-approval form. Use a monthly payment estimate calculator to figure out what your monthly mortgage payment will be, then “pretend” to pay it for several months by sending the difference between your current rent or mortgage right into savings. It may seem silly, but this small step can help you make sure the payments are doable. To receive the most affordable rates offered by our top picks, you’ll need to pay at least 20% of your home’s total value up front. Having at least 20% will also help you avoid private mortgage insurance (PMI), an additional monthly fee that protects the lender in the event you default on the loan. Can’t get to 20%? Don’t worry, you can still qualify for a mortgage. One route is to pay that PMI insurance on a conventional loan. It’s also possible to take on a second smaller loan to cover the difference in your down payment (often called a piggyback loan). You may also qualify for a government-backed Federal Housing Administration (FHA) loan, especially if you’re a first-time buyer. Mortgage prices are personal. The size of your loan, interest rates, and closing costs all depend on factors individual to you — like your credit score, job, location, property type, and so on. The combination of loan-to-value ratio and credit score will have the greatest impact on your interest rate. Someone with average credit putting less than 20% down will pay a great deal more for their mortgage than someone with excellent credit and 20% or more down. We can’t predict which company will offer you the most affordable mortgage rates. You’ll have to compare quotes from a few different lenders to find the best price for your individual situation. Once you’ve gathered quotes, take note of interest projections. While a few tenths of a percent may not seem like a huge difference, it adds up. An example from our sample quotes: A 30-year, $240,000 loan from Wells Fargo at 4.63% will set you back $445,000 after interest is factored in. The same loan from Quicken, at 4.25%, will end up costing $425,000. That’s an extra $20,000 paid over the course of a 30-year term. At the pre-approval stage, a lender reviews your credit and finances and then tells you what loan size and rates you qualify for. You’ll generally want to seek pre-approval before you actually start house hunting; it lets you know what you’ll be able to afford. Choosing a solid mortgage lender is the first step, but finding the right loan officer is just as critical. Your loan officer acts as your point person within the company, helping you find and structure your loan and guiding you through the process. It’s important to work with someone you like and trust. Our experts recommend vetting individual loan officers on Zillow and Yelp before committing to one. Your loan officer is advising you on the biggest debt you'll ever have in your life. A competent, experienced, ethical advisor who is fluent at financial math is crucial to your financial well-being. What federal programs can help buyers? FHA loans are backed by the government, but issued by private mortgage lenders. FHA loan programs were developed to help buyers who may not otherwise qualify for a mortgage, like first-time buyers with a smaller down payment, or people with poor credit (think mid-600s and below). They can also help you get into a home sooner if you have a difficult credit history: “For people coming back from major credit events, such as foreclosure and bankruptcy, FHA has shorter required waiting periods,” explains Tizzano. 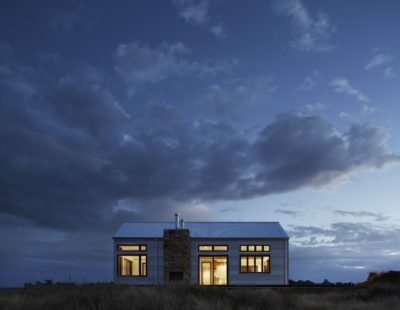 Before applying for an FHA loan, it’s important to weigh the cost versus benefit. “You may have to pay mortgage insurance (which is a cost worthy of consideration) and there are typically more requirements to meet compared to a conventional loan,” says Schrage. On the other hand, getting an FHA-backed loan and paying mortgage insurance may be more affordable than paying rent on a different property while you save up for a 20% down payment on your new home. If you’re wondering about the costs of renting versus buying, check out this mortgage calculator from First Internet Bank. Pre-approval for a mortgage means that the financial lending institution has surveyed your credit history and determined you are a viable candidate for a loan. Since all money-related activity (buying a car, getting in arrears on your credit card debt, co-signing your younger brother’s apartment lease) moves your score in one direction or another, your approval is a moving target. Pre-approval is typically valid for a period of three months — after that you’ll need to go through the process again. Beware that each pre-approval request may affect your credit score. Still, pre-approval for a loan lets you tailor your search for real estate priced at that point or below. We have been exploring financial services for many years now, and keep adding to our library of reviews on the best companies and products on the market. Check out our top picks below.